I have another rare chance to catch a film more than a day before it's national release. Usually when this happens there's a horde of folks queued up. When the doors to the theatre open, phones are sequestered, and a rush is put on to find prime seating. Those were movies starring a bunch of… well less than household names. Surely a sneak to see a Brad Pitt movie would be even more chaotic. Unfortunately the waning popularity of America's pastime is as much of a deterrent as a movie star and free entertainment are agents of attraction. Billy Beane (Brad Pitt) is a former major leaguer turned general manager of the Oakland A's. After losing in the playoffs to the Yankees, the A's lose their stars to free agency. Billy is tasked with rebuilding despite a payroll that leaves the A's trailing the competition. While going through the usual motions, Billy happens by Pete Brand (Jonah Hill), an economist who may have found a way to scout baseball with the efficiency the A's need. The two delve in head first, and despite some tough outings they never back down. Pitt is at the top of his game. As an everyman—or at least one that isn't played up as wealthy, a man struggling to keep his job—frustration is clearly seen in Pitt's face. Pitt brings humanity to the ominous job of a general manager. Flashbacks of his stint in "the show" surmise his entire life, be it his divorce or relationship with his daughter Casey (Kerris Dorsey). 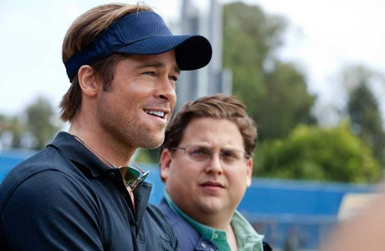 Moneyball is not the action-packed sports outing one may be expecting. Director Bennett Miller spends very little time focusing on the game of baseball, or even the personalities of the players. 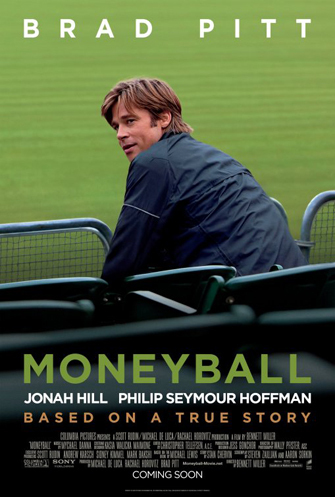 Moneyball is a movie about management. Its deadpan, forthright approach is fresh compared to the typical underdog story filled with home runs and stolen bases. There's no electrifying music or thrilling speeches, but the excitement found in a phone call is realized as well as one could imagine. I don't think any actor other than Hill could pull of his slowly clinched fist. 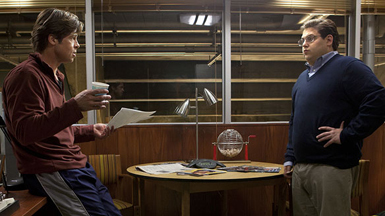 Like the good sports films, Moneyball shares a deeper meaning than simply winning. Immediately the value of loyalty comes to mind. The sports genre is changing, much like how the crew of this story changed talent scouting. Just last year a movie rose up about the struggle to manage a boxer, and now here's the struggle to manage a team. David Justice: What's your biggest fear? Scott Hatteberg: A baseball being hit in my general direction. 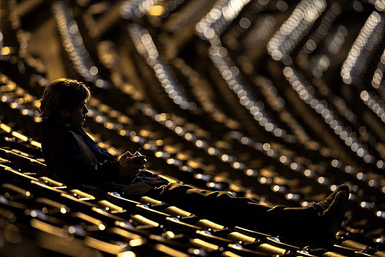 Billy Beane: How can you not be romantic about baseball? Peter Brand: Your goal shouldn't be to buy players. Your goal should be to buy wins. In order buy wins, you need to buys runs. Billy Beane: There are rich teams, and there are poor teams. Then there's 50 feet of crap. And then there's us.